Substitute Gerard Deulofeu produced a game-changing performance to inspire a brilliant Watford comeback as they reached the FA Cup final with a 3-2 extra-time victory over Wolves at Wembley. Goals from Matt Doherty and Raul Jimenez either half looked to have sealed a comfortable victory for the Midlands side, but Deulofeu’s curling effort kept the game alive, before Troy Deeney’s 94th-minute penalty forced extra-time. 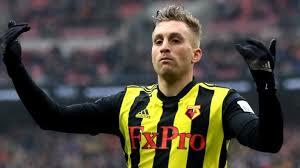 Deulofeu, left out by Javi Gracia in favour of an extra striker in Andre Gray, then struck again in the 104th minute to end a run of four successive FA Cup semi-final defeats and set up a final meeting with Manchester City next month. Watford made two changes to the side that relegated Fulham on Tuesday, with Heurelho Gomes getting the nod in goal in what might have been his final game before likely retirement at the end of the season. Wolves also brought in their regular cup ‘keeper John Ruddy as one of three changes to the side that beat Manchester United on Monday, with Romain Saiss and Jonny also returning. The wing-back almost found the net inside a minute with a superb curling effort, but it would be the only chance of note in a fairly scrappy opening spell. On half hour, though, the game came to life as Deeney’s terrific cross was directed over the bar by Gray when he really should have scored. Leander Dendoncker led the Wolves response to that let-off with an arrowing strike from 25 yards that Gomes did well to push over the bar after a slight deflection off Craig Cathcart, but from the resulting corner Nuno Espirito Santo’s side were ahead. A short corner caught Watford napping, and when Diogo Jota bent an inviting ball into the back post it found Doherty, who had escaped the attentions of Abdoulaye Doucoure to nod home. Jota went close to adding an immediate second, bending just wide after a weaving run, but Watford would have been level before the break were it not for Conor Coady’s superb block to deny Gray from close range after a typical Deeney knock-down. Ruben Neves threatened with a devilish free-kick shortly after the restart and Wolves had the second goal that their growing dominance merited just after the hour mark when Jimenez produced a magnificent chest and volleyed finish from Doherty’s high cross. Deulofeu was sent on to try and add some much-needed spark to a side that had not managed a shot on target, and the Spaniard did the trick, producing a stunning curled clip over Ruddy into the top corner to make the final 10 minutes interesting. Still Wolves had chances on the break, and looked home and hosed, but when Deeney nipped across the front of Dendoncker and was caught, deep into stoppage time, Michael Oliver did not hesitate to point to the spot. Deeney stepped up himself to rattle home a bullish penalty and earn an unlikely lifeline. But it was Deulofeu who would be the hero, finishing low across Ruddy in the first half of extra-time before he was himself substituted because of injury late in the game. 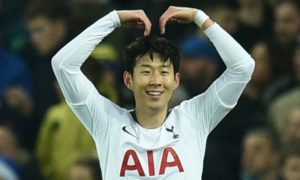 Gracia will hope it is not serious, because on this form he surely won’t be leaving him out of his line-up for Watford’s next Wembley trip in May.